For the family that wants to do boating in comfort, the 27' has been their choice. The fly-bridge for the captain, cockpit for the fishing crew and a cabin, head & galley for the entire family... all in one 27 foot boat. 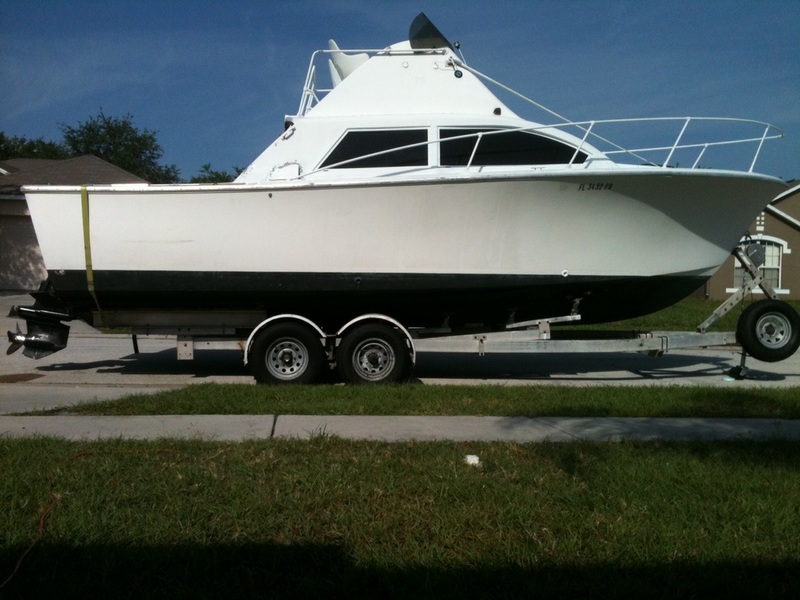 Traded his 21' SeaCraft, made a long jouney and spent days transporting her back to Florida. 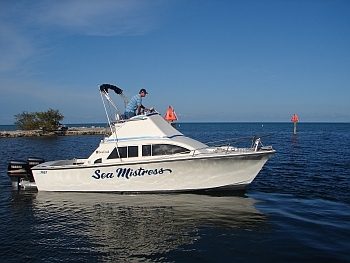 She has been enjoyed off the West coast of Florida and the Florida Keys. The Seamaster 27' flybridge has changed from the 'Sea Mistress' when Mr. Moesly owned her to the 'Bleu Bayou'. We bought her in Key Largo in Dec. 2011 and took her to Mississippi for updates. We spent the summer of 2012 in the Abacos, fished the rigs in Ms. in the spring and summer of 2013, then took a cruise around Florida's Big Bend in the fall. "Bleu Bayou" is currently in Fairhope,Al. Found in the woods near a house, covered with moss & growing trees. Under complete restoration. Show off your 27' here!